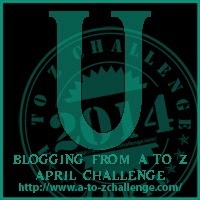 Posted on 24/04/2014 by the curtain raiser •	This entry was posted in A to Z April Blogging Challenge and tagged #atozchallenge, a to z april blogging challenge, A to Z of Living Imperfectly, being me, being unique, blogging, blogging challenges, celebrating individuality, conservatisim, conservative yet unorthodox, doing your own thing, quirky yet conventional, unorthodox behaviour. Bookmark the permalink. Perhaps quirky but conventional is describing someone who is, in modern parlance, ‘out there’, but in a relatively comfortable, non-threatening way. We should all be happy to have our beliefs, prejudices etc. challenged – it gives us the opportunity to defend them – but not to have them belittled or ridiculed, nor ourselves for holding them. It may be that conservative and unorthodox are not natural bed-fellows, but as soon as one accepts that we are none of us unique, yet we all are, anything is possible. You’ve hit the nail on the head by talking about challenging beliefs and not the person. The boundaries seem to have blurred on this one with the Internet. Anything truly is possible if we respect one other as human beings. Love the last paragraph of your comment, its scathingly clever. I think politics tends does tend to obscure the debate on issues, because the focus gets side tracked to personalities and party ideology rather than the issue at hand. This is particulary annoying when you know someone can contribute to a debate on the issue but is constrained by party lines. Not sure if this also happens in the US, it certainly does over here. Definitely happens here. Easy example. If you polled GOP legislators “off the record” there is support about doing something about climate change. Yet, since the fossil fuel industry funds the GOP so heavily, the legislators cannot openly debate their funding sources. Same could be said for the NRA. “strongly held notions should occasionally be challenged and rattled.”—Very true. Like you, I enjoy having someone challenge my long-held beliefs. Even if I don’t change my mind–and there’s a good chance I won’t–I see other ways of looking at an issue which makes it much easier to empathize and step into someone else’s shoes. Helps keep the judgment at bay. 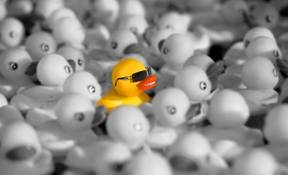 Great post, and love the quirky duck pic! If more of us in US could utilize unortodox thinking, we might come closer to workable solutions. The demonization of those with opposing views has become a juggernaut (thanks to immediate press coverage if every single utterance) that, I fear, cannot be overcome. Yes, it is prevalent in Australian politics also and what’s more the electorate can see through it. It may advance a political cause, but it doesn’t advance the nation. Blog hopping today and glad I stopped by. Congratulations on your hard work to present something worthwhile. Thanks Stephanie, good to see you. Hope you’re enjoying the Challenge. I am conservative but very opinionated…does that count as unorthodox? If you would like it to. Do you see yourself unorthodox as a result? Sometimes I feel that nowadays so many people try to hard to be “unconventional” (whatever that means) that conventional has become the new unconventional. Sort of like twisting inside itself :)? Many who say they are unconventional are not, it’s sort of like the claim about being “leading” this or that. Relatively meaningless from overuse.